The winning team with the trophy! 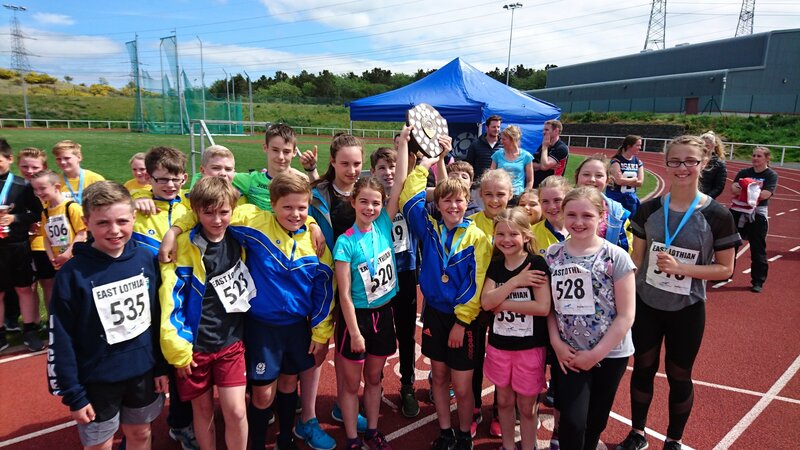 Earlier today at a lovely and warm Meadowmill, the Yester team of 18 athletes convincingly won the 2017 East Lothian Small Schools Athletics event, beating a total of 14 other schools to lift the trophy! Well done to all the team on their great performance! Well done everyone! What a great achievement. Go Yester!! Brilliant – well done, again, Yester :). Well done Team Yester, you were all amazing and very supportive of each other. Another trophy for Mrs Hisley’s office. What an amazing achievement Team Yester. You were all awesome. What an awesome result!!! Well done Yester!!! Absolutely amazing! !